Nandamuri Balakrishna plays the Telugu film star and former Andhra Pradesh chief minister, NT Rama Rao. 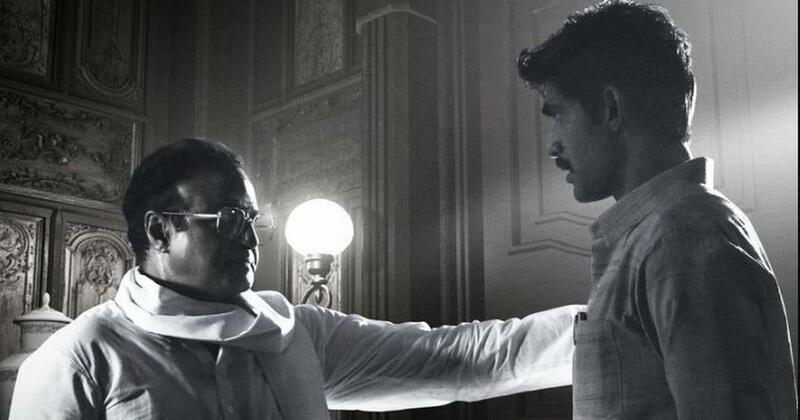 In a new poster for Krish’s under-production NT Rama Rao biopic NTR, Rana Daggubati made his first appearance as Andhra Pradesh Chief Minister N Chandrababu Naidu. NT Rama Rao, the Telugu acting legend, founded the Telugu Desam Party and served three terms as the chief minister of undivided Andhra Pradesh. Naidu, NTR’s son-in-law, has been Andhra Pradesh’s chief minister since 2014. In the poster, NT Rama Rao (Nandamuri Balakrishna) is seen listening keenly to Naidu (Daggubati). Balakrishna, one of NTR’s sons and also a TDP member, is one of the biopic’s producers. Vidya Balan plays NT Rama Rao’s first wife, Basavatarakam. The supporting cast includes Prakash Raj, Keerthy Suresh and Ravi Kishan. MM Keeravani is the music composer.